I’ve known about Farmstead for a long time, but for some reason every plan I made to go there somehow derailed and I kept postponing the trip. After finally having a meal at Farmstead, I can see the error in my procrastinating ways. Farmstead is known for its commitment to sustainability, local food sourcing, and imaginative approach to ingredients ranging from the common to uncommon. The head chef and owner, Matthew Jennings, is not only well-known around RI, but he has twice been a James Beard Foundation’s “Best Chef Northeast” award finalist. In addition, as my favorite fun fact, Chef Jennings has co-hosted a substantial section on Bizarre Foods America with the incomparable Andrew Zimmern. That episode of Bizarre Foods in Rhode Island was not only wonderful to watch as Andrew Zimmern discovered local food treasures, but it also showed off the kind of person Chef Jennings is. As the first stop on Chef Jennings’ tour of RI, he took Andrew Zimmern to NY System Wieners (which, despite the name, is founded in RI). At the start of the episode you have the renowned Chef Jennings with the famous Andrew Zimmern having mini hot dogs slathered in chili before even taking a look at Chef Jennings’ own amazing creations in his restaurant. I’ll let you draw a conclusion about what that says about Chef Jennings and whether or not he’s grounded! The entrance to Farmstead has customers walk in through the Laiterie (Cheese Shop) portion of the establishment before entering the dining area. The cheese shop sports all kinds of cheeses and imported treasures like chocolates. It’s a small shop, but in every corner there is something to “oo and ah” over (like chili infused chocolate!). The cheese shop graciously offers samples of their incredible cheeses if a customer is curious. There are also many complements to the cheeses available to pair and create entirely new flavors. I won’t sugar coat the price point of the shop though because it is pretty expensive. This isn’t your local supermarket or grocery store where the cheese is four dollars for a pound. Expect to pay a lot more here, however, the cheese truly is excellent and very much worth the expenditure for special occasions or to treat yourself. The dining area is also small and cozy. The dining style is much more like a classically Italian restaurant with close tables and dim lighting, which made for an intimate feel despite the restaurant volume, which could get loud when the restaurant was full. Our server was fantastic. She was full of smiles, courteous and very helpful when it came to answering questions. She didn’t even make me feel foolish when I asked how to pronounce some of the items on the menu. As a start to the evening, I decided to try a cocktail from the menu. I ordered the Tequila Mockingbird, which, as well as having a great name, contained Don Julio Reposado Tequila, fig, chai syrup, Angostura, and Spanish cider. 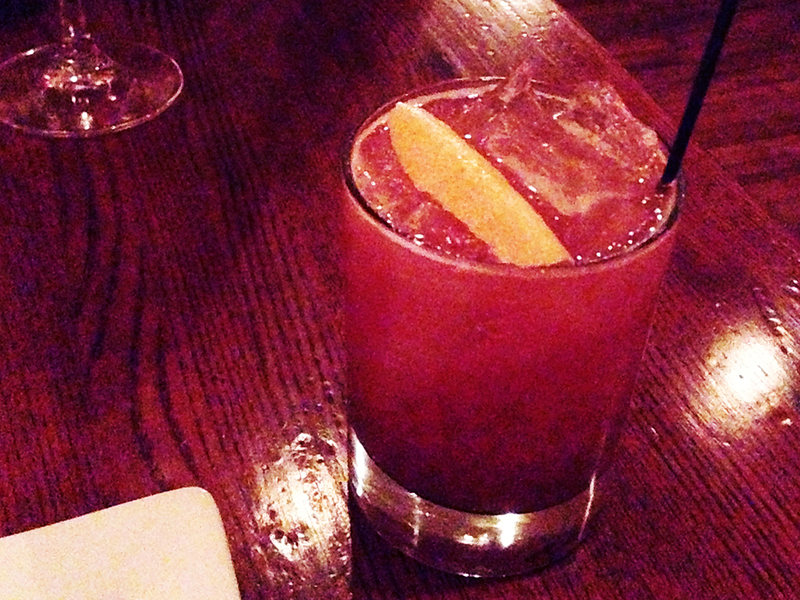 The drink came out and tasted very much like summer and fall in a glass. The tequila’s own citrus flavors combined well with the lemon garnish and cider. The chai syrup and cider added sweetness without overpowering and gave the whole drink a tea-like quality. Generally, a really nice and well balanced drink with a lot of distinct flavors that worked well together. 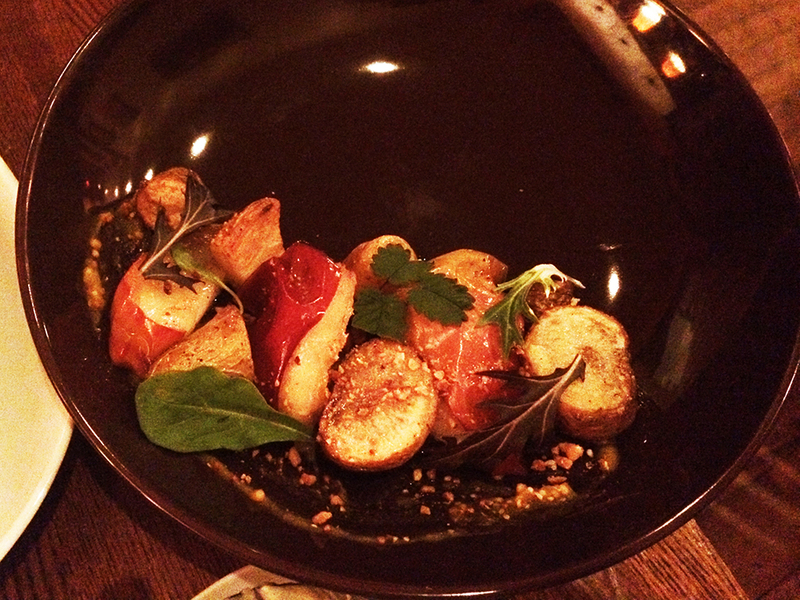 Since it was my first time at Farmstead, I really wanted to try as much as I could without completely overdoing it. 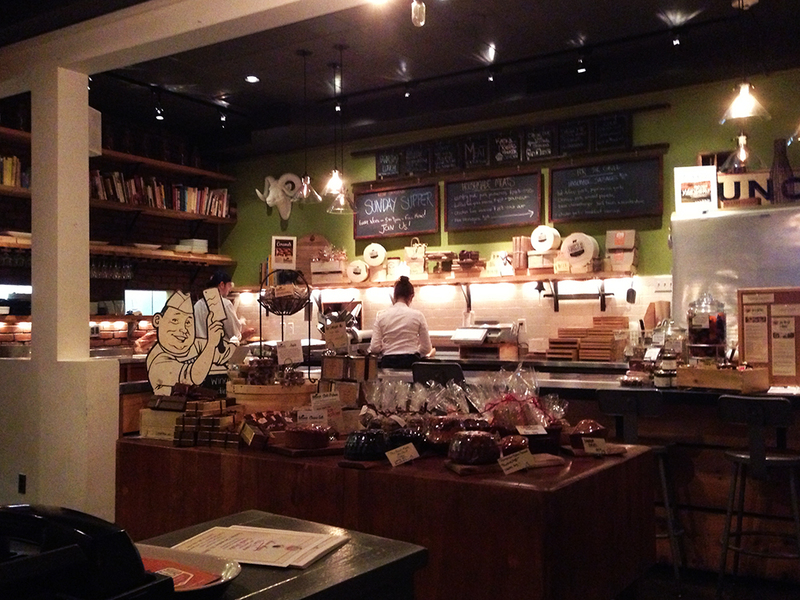 The cheese and charcuterie boards seemed like the perfect starting point. My date for the evening (my fiance) wanted a cheese plate, while I wanted to try all of the meats. As a compromise, she chose two cheeses and I chose two meats. The result was a truly incredible board full of varying flavors that felt like eating 6 or seven different dishes due to the board’s accompaniments. She chose the “supple…rustic…earthy” Appalachian and the “firm…pressed…nutty” Appleby’s Cheshire cheeses as described by the menu. I chose the “Coserva di Mailae” (pork belly, fennel, maple) and the “Goose Rillette” (mustard, herbs, garlic). The plate also came with a variety of pickles, a side of honey, a side of house mustard, pickled onions, house candied nuts, and truly mind-blowing smoked grapes! I’d never had a smoked grape before, but they really were fantastic despite how hard it was for me to even picture the flavor. The three halves on the board were nowhere near enough for this first-time smoked grape taster! I could spend all day raving about this board, but I’ll try to keep it brief. The cheeses were wonderful and just as described on the menu. The sweet honey and fig spread that came with the cheeses definitely changed up the flavors as well. On the other side of the board, the pork belly spread on a crostini was also delicious, but wasn’t what I imagined when I read pork belly. I didn’t realize it was a spread and not actual pieces of pork belly. On the other hand, the Goose Rillette was exactly a rillette. I didn’t know it at the time, but rillette is slow cooked, salted, meat that is then shredded and allowed to sit in its own fat to form a paste or spread. The goose rillette was truly fantastic and easily my favorite main item on the board. The best part was that while it tasted like only the best shredded essence of goose, it really didn’t come off as overly greasy or fatty. It was perfectly balanced. I would highly recommend this item as a must have at Farmstead while it’s available (GET THIS WHILE YOU CAN!) because not only is it delicious, but the portion is generous. As a spread, the amount in the little jar went a long way for us. We ordered a side of crispy bread and nibbled on bites of delicious goose throughout our meal. 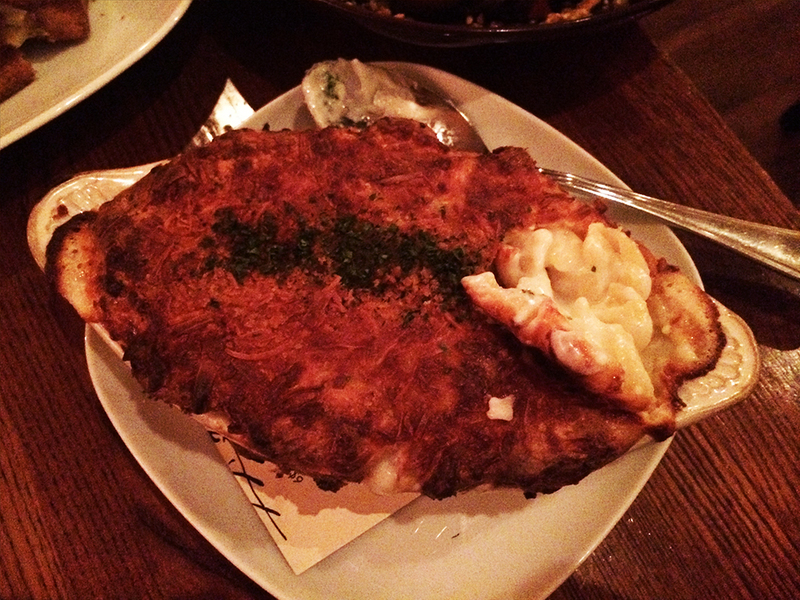 For our main dishes we ordered two “small” plates of “Baked Cheesemonger’s Mac n’ Cheese” and the “Potato & Apple” salad. We also ordered one entrée because my fiance insisted that I needed to try the grilled cheese, which came with polenta fries. Of the three dishes, my least favorite was the Potato and Apple dish, which boasted beef marrow roasted apples, pumpkin mustard, and hazelnut. I wasn’t really blown away by this dish. The ingredients never really came together for me. Individually, the apples were delicious, but the potatoes were a little under-cooked. It wasn’t a bad dish by any means, but it just wasn’t on the level of everything else we ate that night. The mac and cheese was pretty wonderful. The outside had a firm, crunchy, baked crust, while the inside was a succulent mess of cheese and pasta. I expected the mac and cheese to be really salty using hard salty cheeses because of the word “cheesemonger” used in the name, but that wasn’t the case. Instead, the rich cheesiness tasted a lot like a buttery bechamel sauce. The bechamel flavor made this a very comforting dish and the portion size, despite being a “small plate,” was actually very hearty, so it could have even been an entree. 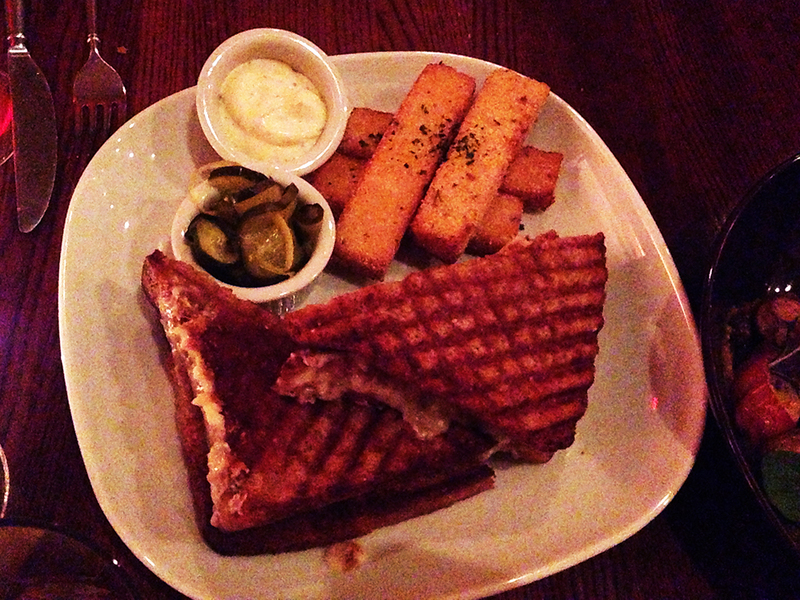 Last, but not least, we split the grilled cheese and it did not disappoint. The pressed, grilled bread of the sandwich was crisped up so perfectly that if I wasn’t careful, I could have eaten the sandwich too fast and cut up the roof of my mouth (I mean that in a good way!). The crunchy bread held up well to the decadent salty cheese, the apple jam, and the granny smith apple slices inside. Every bite was a blast of flavor ranging from salty to sweet and back again. The polenta fries were a first for me and I really enjoyed them. They tasted like a gritty polenta and they went wonderfully with the side of aioli. The plate was truly a comfort food masterpiece, but as a result it’s extremely filling and heavy. It’s not heavy in a bad way, but after eating everything we ate prior, even half a mouth-watering sandwich was hard to fit into our distended bellies! 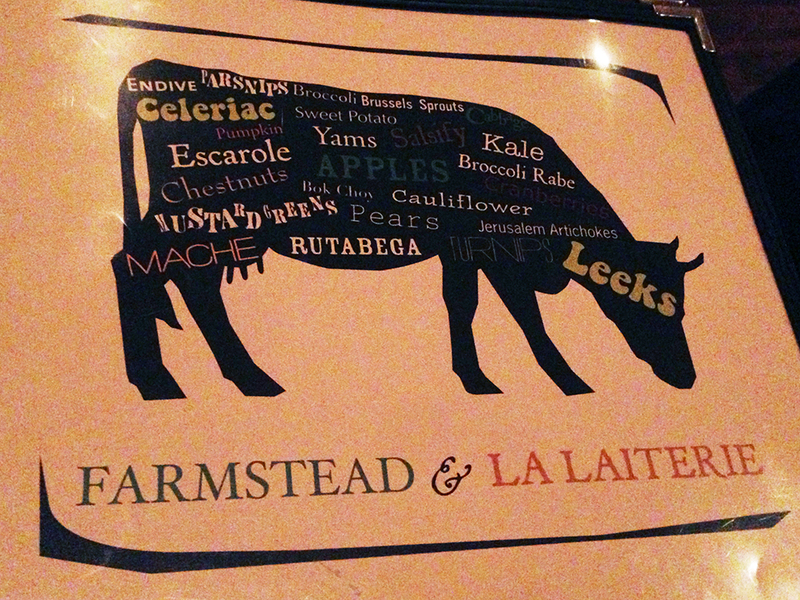 It’s a fact that Farmstead is one of the best restaurants in Providence. I would highly recommend it to anyone looking for hearty food with a brilliant gourmet twist. This is the kind of food your mom would have made if she was a trained gourmet chef with access to only the best ingredients. The meal isn’t cheap, but it is definitely affordable compared to high-end restaurants of lower quality. Call ahead for a reservation and persist even if it’s a little hard to get through to someone on the other line sometimes because it’s worth it. I will definitely be giving this place a try. It sounds amazing! 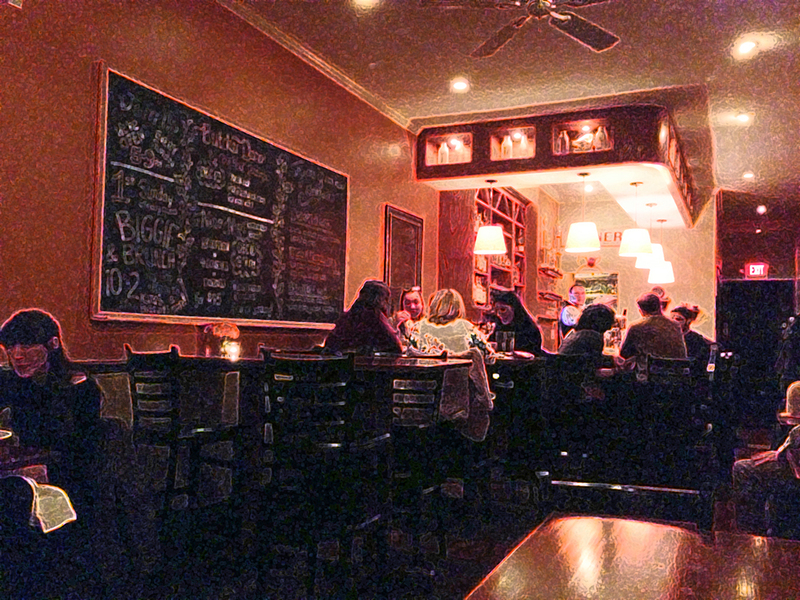 If you haven’t already been, you should also give Broadway Bistro a try. I’d love to hear your thoughts on it. Thanks for the heads up. I’ll definitely look into Broadway Bistro. 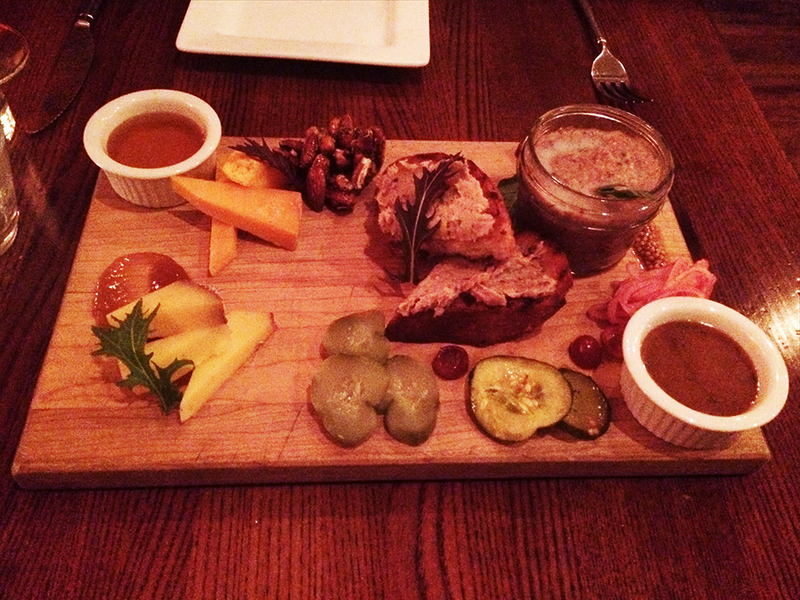 As for Farmstead, I suggest you go soon to snag some of that goose rillette!